Whether you are passing through or staying in one of our charming log chalets, Bell 2 Lodge has your food cravings covered. 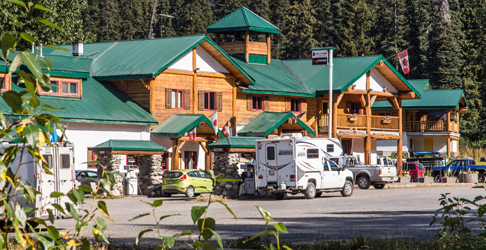 The Bell 2 Lodge restaurant features a creative but casual pub-style menu, or stop in at our Coffee Shop for some grab & go options. Both options offer healthy home-made food to keep you fueled for the journey ahead. Whether it’s a breakfast bagel, homemade burger or wild Alaskan Salmon, we have you covered for breakfast, lunch and dinner. 8:00 AM – 8:00 PM daily. Hearty soups, hand crafted sandwiches, pastries and snacks for the road. Gluten Free and Organic options available. 8:00 AM – 6:00 PM daily. 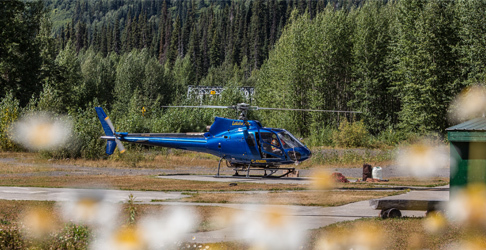 Regular gasoline, diesel, propane and jet-fuel for a helicopter – we have it all. Summer Hours: 8:00 AM – 10:00 PM daily. Winter Hours: 8:00 AM – 6:00 PM daily. 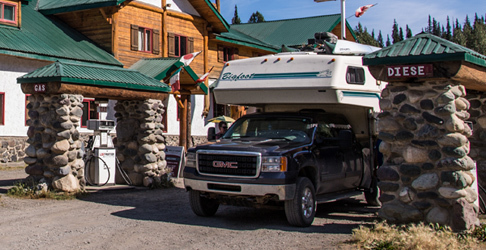 We cater to larger group bookings, corporate clients and act as a logistics base for the area. 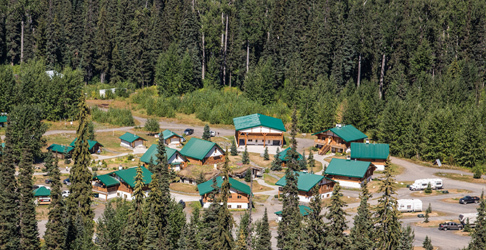 Take advantage of our on-site heli pad complete with re-fueling amenities and storage. Daily meal plans for larger groups are also available.